Discover the ‘Pearl of Africa’ in depth! 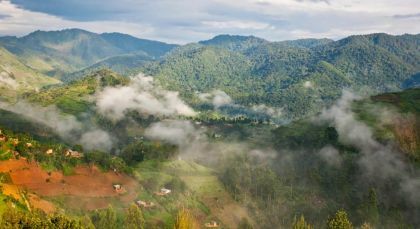 From the source of the might Nile to spectacular waterfalls, tranquil lakes, tropical forests, curious primates, grasslands and the majestic Rwenzori mountains, Uganda is full of treasures big and small. 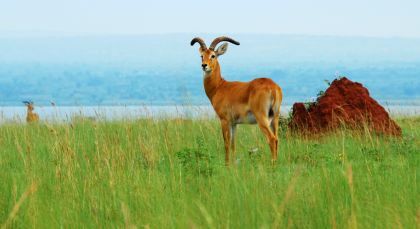 With this comprehensive Uganda trip, let us help you uncover the wild treasures of this African heartland. 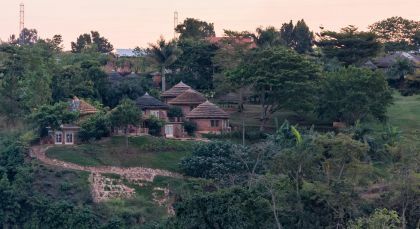 Take the scenic route past small villages and green fields to get to Jinja. For the adventurous, Jinja is the East African counterpart to more southerly adrenaline capitals, such as Victoria Falls and Cape Town. 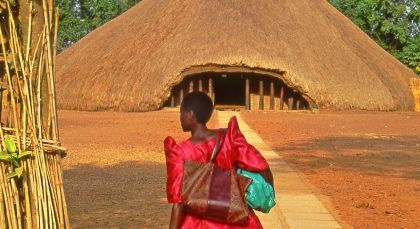 Guided by a native guide, visit to a village in Jinja and have a glimpse of the daily lives of people in this part of the world. Embrace the Nile! 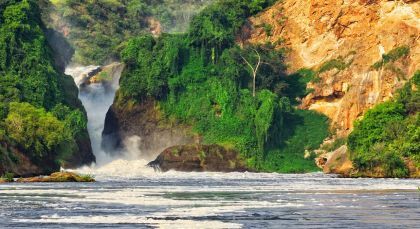 Murchison Falls National Park derives its name from the Murchison Falls, where the mighty River Nile explodes through a narrow 7 meter gorge and flows down to become a placid river whose banks are thronged with hippos, crocodiles, buffaloes, elephants and much more. 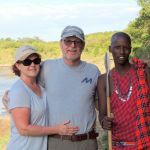 This is one safari your family will love to be a part of. These short game drives in the Murchison Falls are all of three hours and apt for our tiny guests as well. The tropical rainforest around the falls are teeming with life and activity from a stunning variety of wildlife. Set out at sunrise or in late afternoon to see the Rothschild Giraffes, elephants, buffaloes, antelopes, lions, leopards, warthogs, Savannah birds and more. The plethora of animals along the Buligi game tracks are photographic opportunities of a lifetime. New tracks such as the Honey Moon Track are ideal spots for viewing the tall and lanky giraffes. A lion or leopard lurking in the shadows at dusk can be quite a memorable viewing experience. Unleash the nature lover in you with our boat safari and nature walk of Murchison Falls, your ticket to a magical world of misty, swirling rivers and stunning waterfalls. On the boat ride over the Nile to the foot of Murchison Falls, the world’s most powerful waterfall, be treated to a sight of carelessly lounging hippos and giant sunbathing crocs. The experience keeps getting better with herds of elephants, buffaloes, antelopes and diverse birdlife on the shores of this majestic river. Disembark for a guided nature walk along the banks of the river to reach the top of the waterfall. There are many interesting walking trails across Murchison Falls National Park through the Rabongo or Budongo Forests which throw up chimps, African wildlife and birds at galore. Lake Albert is the northernmost lake in the Great Rift Valley and located on the border between Uganda and the Congo. 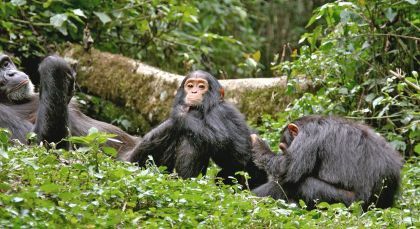 The lush tropical rainforest of Kibale National Park has one of the highest diversity and density of primates in Africa, totalling 13 species including more than 1,000 chimpanzees and so is an ideal location for chimpanzee trekking. Grab a chance to meet with one of Uganda’s most famous primate. The guided primate walk offers an exclusive viewing of wild chimpanzees. 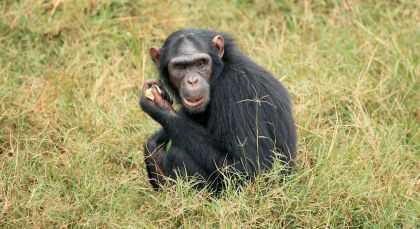 Enjoy the sights and sounds of a lush tropical rainforest as you trek through the Kibale forest in search of the chimps. Skilled ranger guides will help you learn about the animals and vegetation that you encounter on the way. Feel connected to the forest that is also abound with other primates like the red colobus monkeys and the mangabeys, and exquisite birdlife besides. You may also come across tracks of mammals in the forest, which makes this an adventure of a lifetime. Set majestically in the shadow of the Ruwenzori, flanking Lake Edward and Lake George, the lush savannah of Queen Elizabeth National Park offers prime grazing to buffalo, elephant and various antelope. A highlight of your Ugandan holiday is the Boat Safari on the Kazinga Channel in Queen Elizabeth National Park. 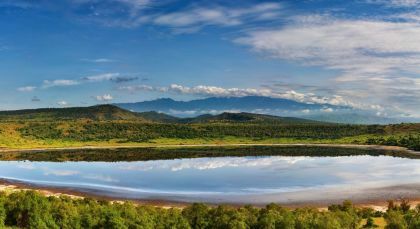 The channel connects Lake George in the east and Lake Edward in the west and undoubtedly boasts of some of the best game viewing spots along its shores. For an informative trip, our experienced guides will accompany you on the boat and share anecdotes about the varied flora and fauna of the region. Be mesmerized with beautiful views of the Rwenzori Mountains north of Lake George and Kasenyi plains. The region is teeming and alive with buffaloes, elephants and don’t be surprised to spot a lion behind the undergrowth of the grasslands. Make company with hippos and sunbathing crocs and witness a fantastic display of birds such as African Fish Eagles, African Spoonbills, Great Cormorants, African Skimmers and pelicans when on the boat safari. For an ultimate out-in-the-wild sensation, join our game drives through the Queen Elizabeth National Park situated in the western arm of the Great East African Rift Valley. Spend your mornings or afternoons watching a variety of wildlife, including elephants, lions, hippos, leopards, buffaloes and the Uganda kob. The grasslands of the Savannah are a bird watchers’ paradise. 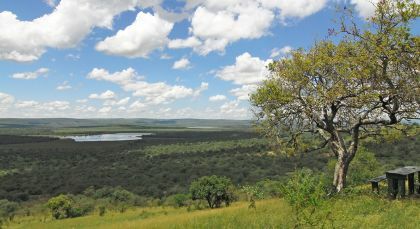 The forests here are pristine and remote, and a raw African wilderness feel hangs heavy in the air. Explore the wild in open safari vehicles with our experienced guides who take you to the right spots at the right time. Lions resting high up on large fig trees, especially in the Ishasha sector of Queen Elizabeth National Park, are a majestic sight to behold and is hence, very popular with wide-eyed tourists. Observe gorillas! Bwindi is home to around 340 highly endangered mountain gorillas, more than half of the world’s population. No other wildlife encounter in Africa matches the astounding experience of spending time face-to-face with some of the few remaining wild mountain gorillas. For a gorilla trek you need to be fairly fit for the humid, muddy conditions of a rainforest hike. Even in the dry season, the rainforest is a challenging environment: it is humid, wet and muddy with some steep slopes and thick vegetation. It is absolutely worth the effort to spend time with gorillas in the wild, but be prepared to exert yourself on the trek. Your professional guide and tracker lead you into the forest’s secret paths, looking for a habituated gorilla family. Once found, approach the gorillas quietly and settle down to observe them from between 7 and 10 meters away. You will spend up to one hour with the gorillas, watching the adults forage and groom each other while the babies tumble and play. You will be under the watchful gaze of the great silverback patriarch whose soft brown eyes constantly sweep over his family protectively. Witnessing gorillas express typically human gestures and emotions is a truly profound experience! With a varying landscape of rolling hills, open grassy valleys, acacia grasslands and marshes, Lake Mburo is home to a huge array of flora and fauna. To stretch your legs and discover the small wonders of nature, experience a guided bush walk along the shores of Lake Mburo. A bird lover’s haven! Entebbe, the former capital of Uganda during the British colonisation, hosts 50,000 people and is situated on the shores of Lake Victoria, the second largest freshwater lake of the world. This was truly an “Enchanting” adventure! The value and service was beyond excellent! The entire team ensured every detail was taken care of and went out of their way to welcome us! And every hotel and excursion was amazing, and we were greeted with welcoming open arms every where we stayed! Nothing was left to chance…and we felt so secure knowing Enchanting Travels had everything lined up for us! Even our lodges said Enchanting Travels was a top-notch company!